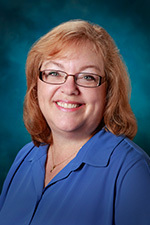 Originally from the mountains of West Virginia, Lori has lived in Central Florida since she was 12 years old. Knowing the area, along with her tenured experience, allows Lori to assist her clients with the purchase of their first home to retirement home, and everything in between. With over 20 years of Mortgage Banking experience, Lori is passionate about educating and assisting her clients with growing wealth through the most important financial transaction most people have - financing their home. Lori is a results-driven communicator and excels at helping to simplify complex mortgage products and programs. She originates mortgage loans for Seacoast Bank throughout Central Florida. Lori can offer her clients most any type of mortgage product, but has particular expertise with Self-Employed borrowers, Construction to Permanent financing, and Jumbo loans. NMLS ID is a unique identification number issued by the Nationwide Mortgage Licensing System (NMLS) to each Mortgage Loan Originator. * Mobile and Online features not available for Personal Free Checking. No Fees at Publix ATM not available for Personal Free, All American, and Bank at Work Checking accounts. © 2017 Seacoast National Bank. All rights reserved.